Wells Fargo, Samsung And Volkswagen: Can A Good Name Be Restored? : The Two-Way Wells Fargo's CEO, John Stumpf, stepped down Wednesday as his company tries to rebuild its reputation. Wells Fargo, Samsung and Volkswagen have all seen their names hurt by poorly handled scandals. Workers wash a window at a Samsung shop in Seoul, South Korea, on Wednesday as the corporation works out how to clean up its sullied reputation. After last month's televised congressional hearings, Wells Fargo's top executive, John Stumpf, had become the face of the company's sham-accounts scandal. He retired Wednesday. Stumpf's downfall was the latest twist in a strange, yearlong tale about huge corporations taking their sterling reputations, tarnishing them and then frantically trying to restore luster. Experts say undoing the harm won't be easy; great reputations can take decades to build. Volkwagen. The people's carmaker had helped resuscitate the postwar German economy. Seen as earnest and honorable, it made top-quality products. Wells Fargo. The huge banking company always played up its stage-coach logo to remind customers of its role in helping to build the American West, starting in the mid-1800s. Samsung. Over the past half-century, South Korea has shot up from one of the world's poorest countries to one of the wealthiest, and all because of a handful of great companies based there. 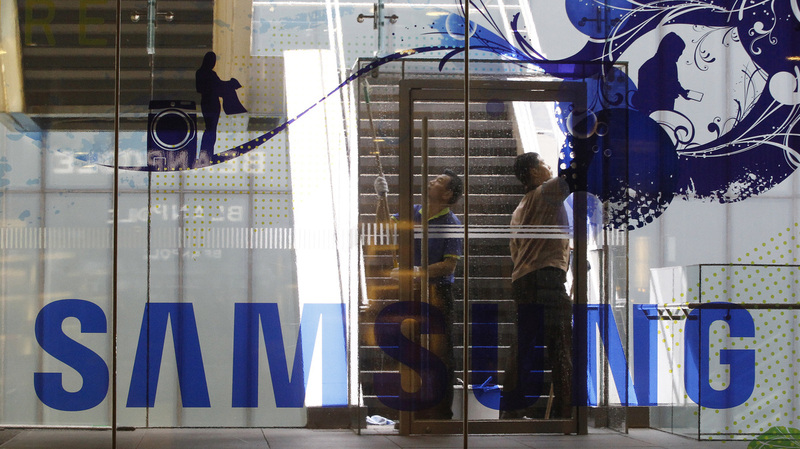 None was bigger or better than Samsung, the sprawling conglomerate. Despite their many achievements, by September 2016, each was caught up in a reputational crisis caused by a failure to do the right thing in a timely manner. Now, in October, corporate-crisis experts are still a little in awe of the scope of the reputational damage hitting the three different companies in different parts of the world. "It's really shocking, what happened," said Stephen Hahn-Griffiths, chief research officer at the Reputation Institute, a research and consulting firm. "It's going to take a long time for them to recover." Last year, Hahn-Griffiths' firm had declared Samsung to be the No. 1 "most reputable technology company in the United States." It said the Seoul-based company's reputation with consumers, workers and competitors was "the gold standard." But that was before Samsung's new Galaxy Note 7 smartphone began catching fire in August 2016. The company started recalling devices in September, and then the replacements began scorching people, too. Now Samsung has pulled the plug on its flagship phone. At Wells Fargo, the company's image has been taking a beating in recent weeks as lawmakers, regulators and consumer groups have criticized it for having employees open bank and credit card accounts without customers' authorization. The company fired low-level employees while top executives were still hanging on. "They threw 5,300 employees under the bus," said Howard Fencl, vice president for Hennes Communications, a crisis-management consulting firm. "It's very hard for anyone to believe that individuals in leadership weren't cognizant of what was happening" with the unauthorized accounts, he said. So at last, Stumpf has stepped down, but it's tough for any bank to get back into the good graces of customers, Hahn-Griffiths said. That's because the financial crisis of 2008-2009 made the whole banking sector look terrible, he said. "Wells Fargo has rekindled a lot of negative feelings" that had never fully faded away, he said. And then there's Volkswagen, which got itself enmeshed in an epic scandal involving cheating on emissions tests. Revelations of wrongdoing severely depressed sales of Volkswagens. All three companies have handled their reputational problems poorly, Fencl said. "Information has come out in dribs and drabs. That's just not the way to handle it," he said. In the face of an erupting scandal, companies need to quickly come clean and say "we're going to do better; we never want to see this happen again," he said. But that can be especially hard for very large companies, he said. "Their cultures are restrained by red tape; that's what holds people back from getting out in front of problems," Fencl said. Gene Grabowski, a partner with Kglobal.com, a consulting firm, said the need to respond immediately to potential scandals is growing because of social media. New platforms allow people to share pictures of melting phones or other product problems. He said he tells executives: "Welcome to the 21st century." Many bosses still think they can hide problems and spin events. "You used to be able to stand on your side of the wall and throw things over" to a passive audience, he said. "But social media has torn down the walls." All of the experts interviewed say the three great companies will bounce back eventually, just as Toyota recovered from its acceleration-related scandal a few years ago. "What all three of these companies have going for them is longevity; they are old brands and they were highly trusted," Fencl said. "They have a store of brand equity that they can draw on" as they work to restore their good names. And that's the way many consumers see it, too. They may be turned off for a while, but many can be lured back to eating at Chipotle or driving a Toyota. Dale Welcome, a federal employee on his lunch break in Washington, said he likes his Samsung phone and is willing to give the company another chance. "I am assuming that by the time I buy another one, they will fix the problem," he said. He likes having Samsung phones, "just as long as they are not still catching on fire," he said. Intern Maria Hollenhorst contributed to this report.